Three beautiful rosemaries are growing in front of my dwelling. Early this year they were covered by a thick pack of snow. 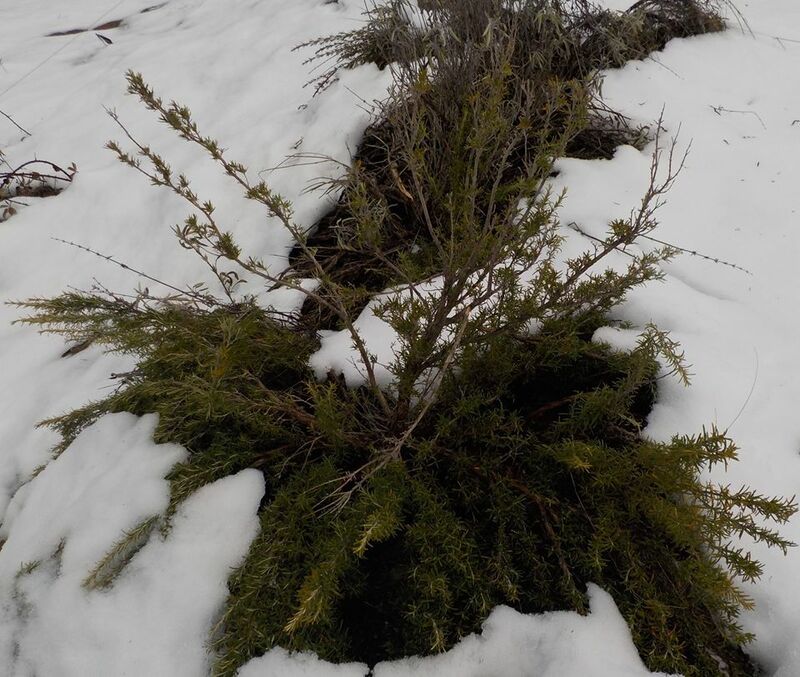 They were the first plants that showed their green again once the snow began to melt. We have been using rosemary for our stews and pasta sauces this winter, and I am happy that I can give it a place on the website. Their emergence from the snow was a great beginning of the year. 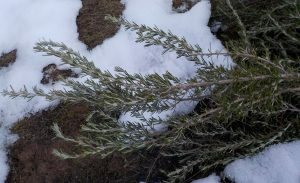 Rosemary is used ritualistically to remember loved ones that have passed on (see also below). 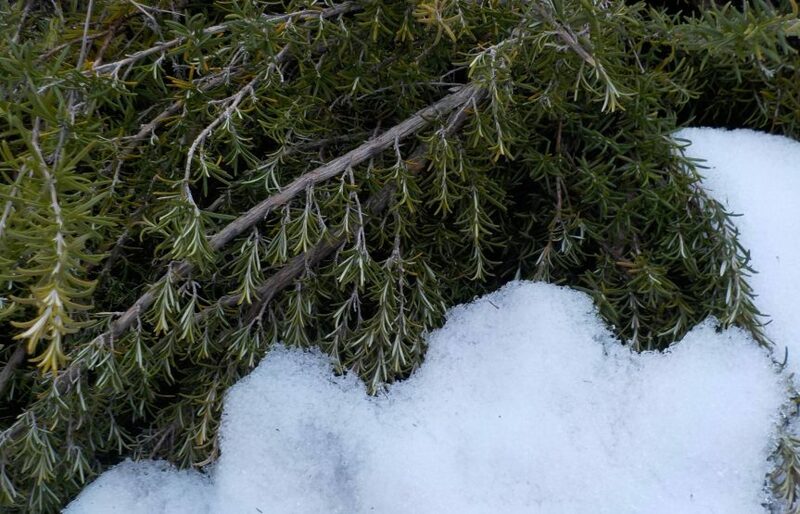 The use of rosemary to enhance memory has been widely described throughout history and is practiced up to the present. In ancient Greece, scholars wore it around their necks or in their hair and stuffed it under their pillows at night, all to improve their memory. And a friend told me that in Israel, rosemary is planted in the gardens of universities for the same purpose. Shamanistic usage is related to the plant’s ability to heal and ward off evil spirits. It is often planted in or around a ‘healing circle’. Thanks for your feedback, Bernadette. Expanded and updated 2/2!